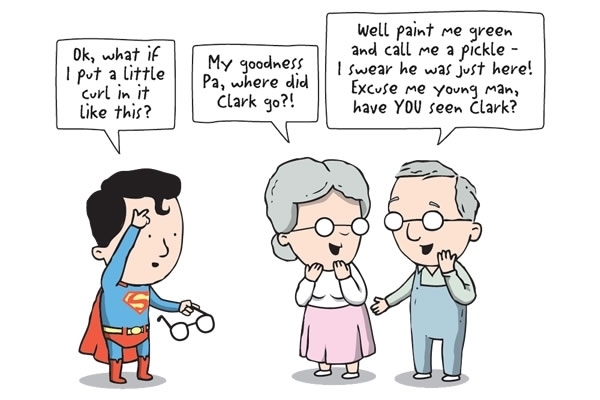 Just a fun thing to think that Clark Kent was able to fool/deceive everyone around him for so long, but it's easier to think it might just be us wanting to believe in something outside of our own boring lives. In desperate times people will always look for hope. I agree that keeping his identity a secret would've been impossible. he he he hilarious cartoons! That cartoon is so cute! At least he fooled someone with the hair Jeremy. Oh, maybe that was why he wore his underwear on the outside of his pants -- everyone was too busy looking at that to notice his face much! 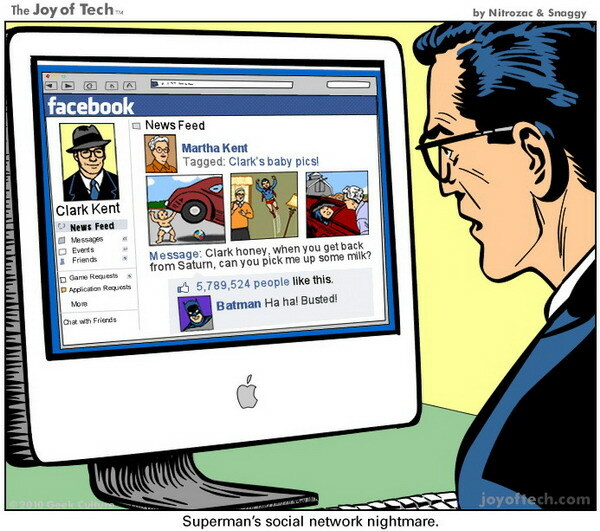 Clark Kent is on everyone's favourite social 'notworking' site, 'Farceook'? I'll put in a friend request. I truly cannot wait for this film! Great cartoon. Lois and Clark explored the whole "how can we be so galactic-ally stupid not to notice the man behind the glasses" very well, in my opinion. Fun show.